OMICS Group warmly invites aspirants from round the globe to 7th Asia-Pacific Biotech Congress to be held during July 13-15,2015 at Beijing, China. This conference aims on discussing latest trends that explore the diverse use of Biotechnology. Bio Asia-Pacific 2015 is the best platform for Biotech, CMOs, CROs, research institutes, investors and industry stakeholders to meet, associate and discuss current industry trends and establish business partnerships. OMICS Group International is an union of Open Access publisher and international science conferences event organizer. OMICS Group now has more than 700 Open Access journals with 80,000 Editorial team and 3 million readers. OMICS Group also organizes 1000 International events annually across the globe, where knowledge transfer takes place through panel discussions, round table meetings, poster presentations, International workshops, International symposiums and world-class exhibitions. OMICS Group Meetings hosts presentations from eminent experts in all the relevant fields. Prime motto of this congress is to address the challenges in creating a more secure, sustainable and affordable system for food, feed, energy and health through consolidating the underpinning biotechnology research platforms. Bio Asia Pacific-2015 conference prepares a ground for seeding new ideas and nurturing knowledge through discussions and analysis on biotechnological developments. The interactions among the participants from different spheres at the conference will serve to generate knowledge based research among the biotechnologists to assist in protecting the natural environment and develop environmentally sustainable industries and institutions. It will be a good opportunity to inform stakeholders and decision makers about the environmental impacts and societal implications of emerging biotechnologies. The conference also aims to promote teaching methodology and research in a way to transform and aid economy. Bio Asia Pacific-2015 comprises of a series of well organized scientific programs folowed by Plenary lectures, Keynote forums, Young researcher forums, Poster presentations, International Symposiums, Workshops,World class exhibitions and B2B meetings. 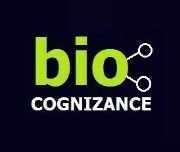 The conference that will continue for three days will take you to the voyage of knowledge providing you an opportunity to learn about the biotechnological advancements taking place in the international academic and corporate biotechnology communities.Biotech industry in China started in 1984 and considered as one of the fastest growing field. China biotech industry is estimated to reach sales of 107.1 billion US$ by 2016 from US$ 31 million in 1986.As Biotechnology occupies 31% of total china industry, the Biotech industry will receive a large slice of the $1.7 trillion pie in China’s 12th Five-Year Plan. China’s Minister of Health has pledged the country will spend an additional $11.8 billion to advance biotech innovation from 2015 to 2020, in their 13th Five-Year Plan. Globally, around 160 billion U.S. dollars were spent on biotechnology in 2011 and It is expected to exceed $320 billion by 2015. The conference mainly covers the latest trending topics of Biotechnology. Despite the fact that Bay area is the birthplace of biotechnology and house more than 200 biotech companies. Most of the bio manufacturing conferences are concentrated in east coast or southern California. A major effort of Bio production summit is to provide optimal canvas for the biotech professionals to meet industry leaders while able to experience the unique biotech ecosystem that bay area offers. Modern pharmaceutical manufacturing techniques frequently rely upon biotechnology. 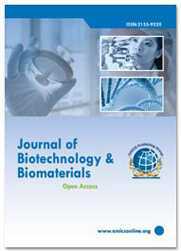 Several techniques are used to produce Human Insulin, Human Growth Hormone, Human Blood Clotting Factors, Transgenic Farm Animals, Paclitaxel (Taxol), Artemisinin etc..
Amongst the earliest uses of biotechnology in pharmaceutical manufacturing is the use of recombinant DNA technology to modify Escherichia coli bacteria to produce human insulin, which was performed at Genentech in 1978. Prior to the development of this technique, insulin was extracted from the pancreas glands of cattle, pigs, and other farm animals. While generally efficacious in the treatment of diabetes, animal-derived insulin is not indistinguishable from human insulin, and may therefore produce allergic reactions. Genentech researchers produced artificial genes for each of the two protein chains that comprise the insulin molecule. More than 5300 Biotech Companies (mostly European Union based) have been involved in the mere application of technical advances in life science to develop commercial products. Healthcare biotechnology refers to a medicinal or diagnostic product or a vaccine that consists of, or has been produced in, living organisms and may be manufactured via recombinant technology (recombinant DNA is a form of DNA that does not exist naturally. It is created by combining DNA sequences that would not normally occur together). Biotech in Health Care has a tremendous impact on meeting the needs of patients and their families as it not only encompasses medicines and diagnostics that are manufactured using a biotechnological process, but also gene and cell therapies and tissue engineered products. Today, the majority of innovative medicines, whether manufactured using biotechnology or via a chemical synthesis like a traditional small molecule medicine, as well as many diagnostic products, are made available by applying modern biotechnology in their development and manufacturing . An article published with title “Drug Shortages Frustrate Doctors, Patients” explains us the need of application of biotechnology in health care. more sophisticated, as the traits that breeders select for include increased yield, disease and pest resistance, drought resistance and enhanced flavor. Traits are passed from one generation to the next through genes, which are made of DNA. Agricultural biotechnology is a collection of scientific techniques used to improve plants, animals and microorganisms. Based on an understanding of DNA, scientists have developed solutions to increase agricultural productivity. Starting from the ability to identify genes that may confer advantages on certain crops, and the ability to work with such characteristics very precisely, biotechnology enhances breeders’ ability to make improvements in crops and livestock. Biotechnology enables improvements that are not possible with traditional crossing of related species alone. 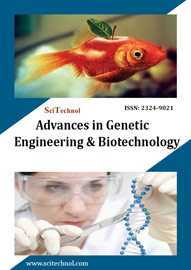 Animal biotechnology is a branch of biotechnology in which molecular biology techniques are used to genetically engineer (i.e. modify the genome of) animals in order to improve their suitability for pharmaceutical, agricultural or industrial applications. Animals are used in many ways in biotechnology. The animals in research labs help us better understand biology and serve as biological test systems. In research, genetically engineered fruit flies, mice, and rats are also used to help us understand the relationship between genes and disease. Zebra fish are especially important in medical research by providing insights into human and animal health and development. Rabbits and mice are frequently used for producing the antibodies that we use to detect various molecules. Many animals also help by serving as models of disease. If an animal gets a disease that's similar to humans, we can use that animal to test treatments. Animals are often used to help us understand how new drugs will work and whether or not they'll be safe for humans and effective in treating disease. Environmental biotechnology is biotechnology that is applied to and used to study the natural environment. Environmental biotechnology could also imply that one try to harness biological process for commercial uses and exploitation. The International Society for Environmental Biotechnology defines environmental biotechnology as "the development, use and regulation of biological systems for remediation of contaminated environments (land, air, water), and for environment-friendly processes (green manufacturing technologies and sustainable development). Many biochemical companies such as National Pituitary Agency (U.S.A), GeneTech Co. (U.S.A), Biogen (Switzerland), E. Lilly (U.S.A) are involved in the production of biotechnological products using genetic engineering techniques. Many countries have developed collaborative networks and relationships on various aspects of biotechnology such as” International Cell Research Organisation “(ICRO), “ Regional Microbiology Network for South-East Asia” (supported by Japan and UNESCO), Microbiological Resource Centres (MICRCENS, supported by UNESCO). According to a NASSCOM-KPMG study, the R & D and biotech industry will reach a turnover of 5 billion dollars by 2015 and the bioinformatics market will reach $ 3 billions. Plant biotechnology is a field that entails applying technology on life (plants). It is a vast field that entails producing new products in a larger faster way, deviating from the conventional way of doing the same. It can be divided into several systems depending on what each of these entails. Scientists have been improving plants by changing their genetic makeup since the late 1800s. Typically, this has been accomplished through crossbreeding and hybridization, in which two related plants are cross-fertilized and the resulting offspring have characteristics of both parent plants. In the breeding process, however, many undesirable traits often can appear in addition to the desirable ones. Some of those undesirable traits can be eliminated through additional breeding, which is time consuming. Breeders can then further select and reproduce the offspring that have the desired traits. Many of the foods that are already common in our diet are obtained from plant varieties that were developed using conventional genetic techniques of breeding and selection. Based on annual percentage growth in area, of the eight leading GM crop countries, India had the highest percentage year-on-year growth in 2004 with an increase of 400% in Bt cotton area over 2003, followed by Uruguay (200%), Australia (100%), Brazil (66%), China (32%), south Africa (25%), Canada (23%), Argentina (17%) and USA at 11%. India increased its area of approved Bt cotton, introduced only two years ago, from approximately 38,038 hectares in 2002/ 03 to 560,000 hectares in 2004/05 seasons with Bt coverage of 11.65% and approximately 300,000 small farmers benefited from Bt cotton. Biotechnology has a long history of use in food production and processing. For ten thousand years fermentation, a form of biotechnology has been used to produce wine, beer and bread. Selective breeding of animals such as horses and dogs has been going on for centuries. Selective breeding of essential foods such as rice, corn and wheat have created thousands of local varieties with improved yield compared to their wild ancestors. Today, through newer biotechnology and genetic engineering, scientists use techniques such as recombinant DNA (rDNA). Scientists, by using r DNA, can move one gene, the inherited instruction for specific traits, from one organism to another and omit the undesirable traits. This enables food producers to obtain animal and crop improvements in a much more precise, controlled and predictable manner. Modern biotechnology refers to various scientific techniques used to produce specific desired traits in plants, animals or microorganisms through the use of genetic knowledge. Since its introduction to agriculture and food production in the early-1990, biotechnology has been utilized to develop new tools for improving productivity. In 2005, twenty-one countries planted biotech crops covering a total of 222 million acres. These crops include soybeans, corn, cotton, canola, papaya, and squash that are improved versions of the traditional varieties. In addition, rapid-rise yeast and an enzyme used to make cheese are both commonly produced through biotechnology. Nano biotechnology refers to the intersection of nanotechnology and biology. Given that the subject is one that has only emerged very recently, Bio nanotechnology and Nano biotechnology serve as blanket terms for various related technologies. The most important objectives that are frequently found in Nano biology involve applying Nano tools to relevant medical/biological problems and refining these applications. Developing new tools, such as peptoid nanosheets, for medical and biological purposes is another primary objective in nanotechnology. New nanotools are often made by refining the applications of the nanotools that are already being used. The imaging of native biomolecules, biological membranes, and tissues is also a major topic for the Nanobiology researchers. Other topics concerning Nano biology include the use of cantilever array sensors and the application of nanophotonics for manipulating molecular processes in living cells. Nanomedicine is a field of medical science whose applications are increasing more and more thanks to nanorobots, that constitute a very useful tool to develop this area of knowledge. In the past years, researchers have done many improvements in the different devices and systems required to develop nanorobots. DNA nanotechnology is one important example of bionanotechnology. The utilization of the inherent properties of nucleic acids like DNA to create useful materials is a promising area of modern research. Another important area of research involves taking advantage of membrane properties to generate synthetic membranes. Proteins that self-assemble to generate functional materials could be used as a novel approach for the large-scale production of programmable nanomaterials. One example is the development of amyloids found in bacterial biofilms as engineered nanomaterials that can be programmed genetically to have different properties. Pharmaceutical Biotechnology is an increasingly important area of science and technology, and contributes to design and delivery of new therapeutic drugs, the development of diagnostic agents for medical tests, and the beginnings of gene therapy for correcting the medical symptoms of hereditary diseases. Pharmaceutical Biotechnology is pioneering in the UK, providing a detailed insight into the technologies that allow the development and production of biopharmaceuticals that could lead to cures for most major diseases. OMICS Group International is an union of Open Access publisher and international science conferences event organizer. 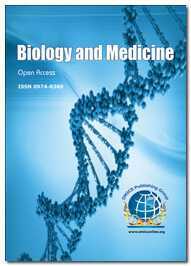 OMICS Group now has more than 400 Open Access journals with 30,000 Editorial team and 3 million readers. OMICS Group also organizes 300 International conferences annually across the globe, where knowledge transfer takes place through panel discussions, round table meetings, poster presentations, International workshops, International symposiums and world-class exhibitions. OMICS Group Meetings hosts presentations from eminent experts in all the relevant fields. Prime motto of this congress is to address the challenges in creating a more secure, sustainable and affordable system for food, feed, energy and health through consolidating the underpinning biotechnology research platforms. Bio Asia Pacific-2015 conference prepares a ground for seeding new ideas and nurturing knowledge through discussions and analysis on biotechnological developments. The interactions among the participants from different spheres at the conference will serve to generate knowledge based research among the biotechnologists to assist in protecting the natural environment and develop environmentally sustainable industries and institutions. It will be a good opportunity to inform stakeholders and decision makers about the environmental impacts and societal implications of emerging biotechnologies. The conference also aims to promote teaching methodology and research in a way to transform and aid economy. Bio Asia-Pacific 2015 comprises of a series of well organized scientific programs folowed by Plenary lectures, Keynote forums, Young researcher forums, Poster presentations, International Symposiums, Workshops,World class exhibitions and B2B meetings. Today, the majority of innovative medicines, whether manufactured using biotechnology or via a chemical synthesis like a traditional small molecule medicine, as well as many diagnostic products, are made available by applying modern biotechnology in their development and manufacturing processes. For about 10,000 years, farmers have been improving wild plants and animals through the selection and breeding of desirable characteristics. This breeding has resulted in the domesticated plants and animals that are commonly used in crop and livestock agriculture. In the twentieth century, breeding became more sophisticated, as the traits that breeders select for include increased yield, disease and pest resistance, drought resistance and enhanced flavor. Traits are passed from one generation to the next through genes, which are made of DNA.